Suffragette isn’t the fist-pumping revolutionary film you want it to be. 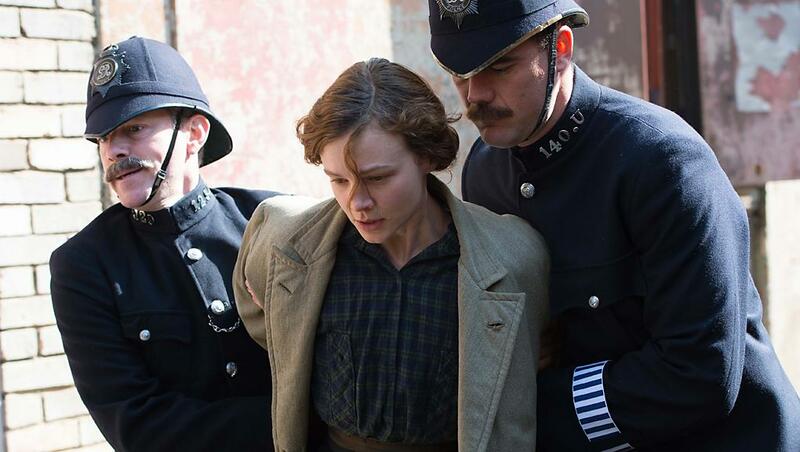 Charting early days in the Suffragette movement, Carey Mulligan is Maud Watts. A grafter at the laundry mills, her husband Sonny (Whishaw) seems a decent man while her son grows within a happy household. But, on the streets of London, tensions are mounting. The widely-mocked suffrage movement await the verdict from parliament as to whether women will be considered for voting rights, something Maud has been quietly hoping for. Bolstered by an outstanding cast (Helena Bonham-Carter, Meryl Streep, Anne-Marie Duff) portraying inspiring roles in the movement (fact and fiction), the powerful publicity campaign is a little misleading. Despite billboards celebrating Meryl Streep’s portrayal of Emmeline Pankhurst, it’s a glorified cameo. A shame for Streep fans perhaps, but a bigger loss for those interested in Pankhurst. Suffragette is primarily a personal story that crescendos with a key moment rather than turning the historic period into a sprawling epic. It awkwardly veers between small-scale family dramas and nationwide anti-government protests. Women actively defied the law, vandalised stores and bombed MP’s houses. It’s not ignored, but not endorsed. Boiling for the duration and ending abruptly, something is missing. Perhaps portraying the victory in 1928 (15 years after events depicted in Suffragette), when women were granted equal votes to men, would’ve satisfied. Misjudged, Suffragette tragically softens a period that’s filled with anger and resentment. Rather than inspiring hope and change, Suffragette feels like a high-class history lesson, disconnected from our current struggles today.